Home Editorial Should Speed Limits be harmonised? 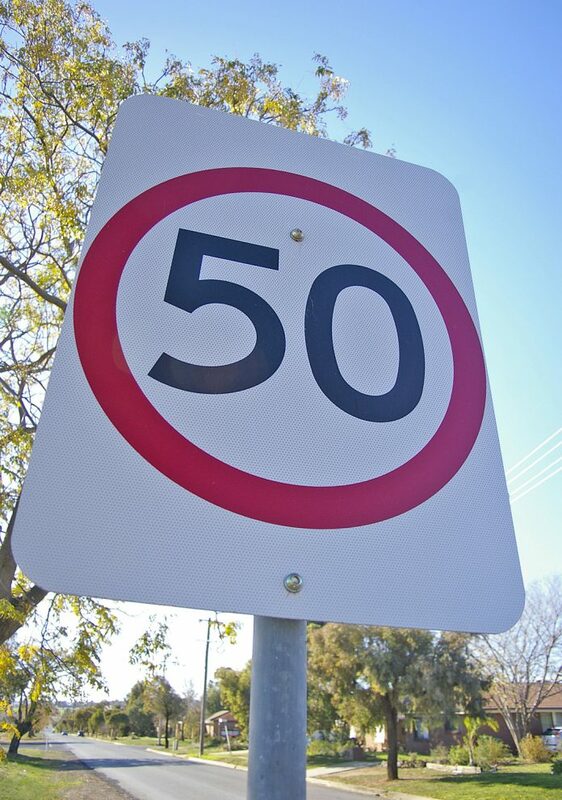 Should Speed Limits be harmonised? Every Government in the European Union has, from time to time, indicated to take action to limit speeds on national roads and thereby to reduce the number of fatalities. Cleary, any change affecting the use of the road made by a national Government is likely to affect a visiting haulier, and any road transport operation whose vehicles are required to operate outside the Republic must ensure that drivers are aware of any recent changes. This is particularly important following the arrival of the EU Cross Border Enforcement Directive which enables the enforcement authorities in France, and some other EU Member States, to use vehicle ownership records to track down and prosecute drivers who have contravened national legislation including, of course committing the offence of speeding. In France, the sight of two black motorcycles, parked at the side of the road with two riders similarly dressed in black, is often enough to remind a driver to check the speed, but motorists do need to know the maximum legal speed to start with. On A and B roads in France it is intended to reduce the existing maximum speed of 90 km/h to 80 km/h with the possibility that the limit on an ‘Autoroute’ will be reduced from 130 km/h to 120 km/h. This proposal has resulted in a strong protest from the French motoring public who are prepared to drive slowly, but not that slowly, and it may, or may not, be put in place. In fact, the range of speed limits in European is surprisingly varied, and a useful web address is hp://trip.studentnews.eu. The driver of a heavy goods vehicle travelling through the EU must be aware of variations in the speed limit for the country in which he/she is driving, particularly as those variations may be slight. The responsibility of the employer is to keep the driver informed about any change that might be introduced. The important point to note is that the days when a driver could cross a national border, confident that he/she was leaving all offences behind, have gone since the introduction of the Cross-Border Directive. In the UK the post-Brexit position is predictably uncertain. Currently, as a member of the EU, the UK Government has access to the Cross-Border Directive, but that access will be lost as the UK leaves the EU. The legislation cannot be re-installed unilaterally unless there is a deal with the EU, and a deal with Brussels seems improbable. There is, in any event, a suggestion that the UK Government will deal with the perceived problem of speeding in its own way, by substantially increasing the penalties that are presently available to the Courts. Drivers of foreign registered vehicles may find that they are stopped at the Ferry Port by officers from the Border Control, and cannot leave the country until their alleged offence has been adequately dealt with. The fact remains that ‘Speed Kills’, and across Europe Governments are taking various steps to reduce the number of road fatalities. Drivers exceed the speed limit routinely to meet a ferry or to meet a deadline, but more commonly they ‘know’ (think!) that they are safer by driving faster than the speed limit, or even enjoy driving fast. Traditionally drivers, regardless of age, do not react well to advice that they should drive more slowly, and yet that is precisely the advice that needs to be given. However unpopular it may be, employers should seek to encourage an understanding amongst their drivers that one of the attributes of a good driver is not the ability to drive fast. Quite apart from all other considerations there is the fact that a conviction for a speeding offence might result in the loss of the drivers’ CPC. Unfortunately, this issue of speed and speed limits will need constant attention for a long time to come.